Unique custom made gates and fence panels. 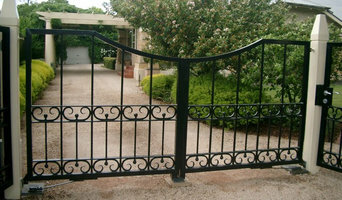 wrought iron, cast iron , cast aluminium, fabricated aluminium and Laser cut gates. Adelaide Balustrade and Fencing (ABF) is a market leader in the design, manufacture, supply and installation of balustrades, corners and frieze, fences, gates, privacy screens and sun canopies to the building industry and home improvement market. ABF began with a philosophy of providing excellent service in addition to high quality products. This resulted in consistent growth which has lead to being one of the most respected and reliable companies in the industry. ABF regularly provides products to many of the best known builders in South Australia and to some of the most prestigious homes, and are a member of the Master Builders Association of South Australia. Established in 1985, Adelaide Balustrade and Fencing can offer you proven reliability to give you “peace of mind” in receiving the product you ordered and in a manner which exceeds your expectations. Ask about our “no risk guarantee”. Our experienced sales staff can offer personal attention to your individual requirements, either in our showroom, at your home or office or at your building site. All quotations are FREE and without obligation. No job is too small or too large. Flavio Outdoor manufactures reconstituted sandstone products, including fencing, pots. 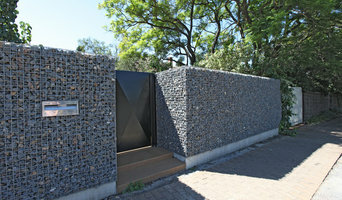 letterboxes and walling blocks. We cater for both the traditional and contemporary style creating unique designs. Flavio retails many products suitable for the outdoor. We are involved with residential and commercial projects. We are devoted to providing high quality craftsmanship of Good Neighbour fencing, post and rail fencing, and all types of Bluescope Colorbond fencing. We complete every job with the level of detail and care that we would use in our own homes. Our professionalism and expertise in the fencing industry of the Adelaide region have made us a name people know they can trust. We are not happy unless you are. At Fencing World we offer the best picket fences and balustrades in Adelaide. 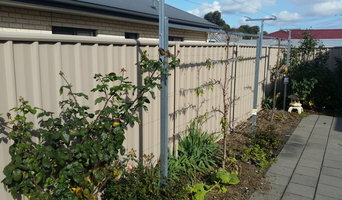 We also supplies the best services of colorbond fencing in Adelaide, Australia. 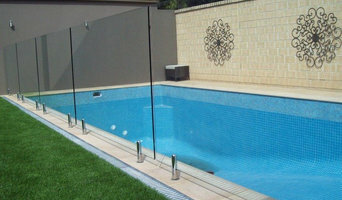 Adelaide based PERFECTION Glass Fencing supplies and installs quality glass pool fencing. We are glass fencing specialists with over 20 years experience in the building and construction industry. A glass fence is the perfect way to beautify your pool area while maintaining the highest safety standards. Our Adelaide team of glass fencing professional installers are used to handling glass every day. The senior tradesmen at PERFECTION Glass Fencing are well skilled PERFECTIONists with years of experience in the building and construction industry. Our guys are on time, professional, trustworthy, surprisingly tidy and great blokes to have around. PERFECTION Glass Fencing is a licensed company, SPASA Members and Business SA Members. We are a family run business who completes the job in a timely manner using only the best glass fencing materials. Call us today to discuss your glass fencing requirements and receive a quick quote by next business day. What does a fencing and gate contractor in Adelaide, South Australia do? 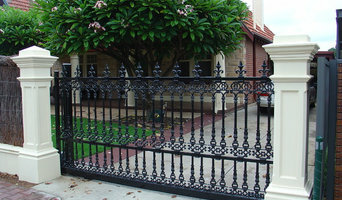 Find a fencing and gate contractor in Adelaide, South Australia on Houzz. Scroll through this page to find professionals in your area that can design, supply and install pool fencing, driveway gates, garden fencing and more. You can browse their portfolio, read reviews and see how other homeowners rate their service, expertise and product.